If you know your local gay Wollongong history, you may recall a longstanding drag venue next to the Wollongong train station. At the height of its fame it was known as Chequers. After closing down several years ago, this venue has recently been given a facelift and new life under the name Pure. 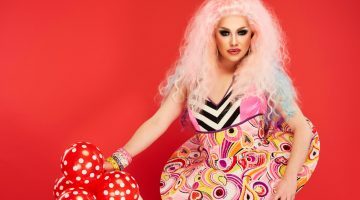 Though not the Chequers many will recall, Pure hosts a GLBT night on Thursdays that features drag shows, competitions and performances by the dance group Boi Breaker. The club can be found on the roof of the Piccadilly Centre. Doors open at 9pm with a cover charge and there is a lock-out after 1am. Stay tuned for some big GLBT events coming up at this new-look venue. If you haven’t posted a photo yet for This Is Oz, the online project running with this year’s IDAHO (International Day against Homophobia), you still have time. For those in the Illawarra who don’t have a camera to take your own photo or a computer to upload it, you can come into the ACON office and arrange to have your photo taken and uploaded from here. The next Rainbow ConneXions meeting will be held at the ACON Community Space on Friday 3 July at 7pm. This is a mixed group for those between the ages of 18 and 30 and meets fortnightly. For more information call Trevor on 4226 1163. Trevor Slattery is the Education and Community Development Officer at ACON’s Wollongong office.